In Shadow of Mordor the best way to know the weaknesses and strengths of a captain or chief is asking his subordinates. Of course the Uruks scattered Mordor not deliver this tray information, causing you to need the help of Celebrimbor (The Wraith). Learn in this tutorial how to steal the dread enemy’s information efficiently. From the moment you immobilize an Uruk and the questions, any of them can give you information about their superiors. All Uruk can give you the name of one of the leaders not enabled Sauron's army, however there is an important difference: not all Uruks know about the strengths and weaknesses of the chiefs and captains. Entering the World Spectral, it is shown silhouettes of his enemies. The Uruks that have their bluish tone aura will give you only basic information of their leaders, such as name, mission and its location. If you catch a glimpse of enemies who have their aura in green, it means that they know the information over their heads and captains, as their strengths and weaknesses. 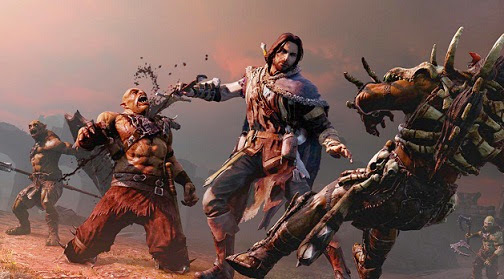 During the cutscene of the question - when Talion seen the enemy and he Celebrimbor pronounces the Elvish words before putting his hand on the head of Uruk - it is necessary that no enemy attack not to break the cycle. Be sure that there is no one around during interrogation. If the enemy is an archer, it is very easy to ask him furtively, but if it is a Berserker making the rounds with other Uruk's, the problem becomes larger. Try to attract you to a place where no one will bother you during questioning. Like his subordinates Uruk's, the chief and captain have information about other leaders. But do not think it is easy to ask a chief or captain, it is very likely that it is accompanied by dozens of enemy soldiers. The only way you can interrogate an Uruk boss is when he is about to die, or when frightened or fleeing, the latter being the more 'easy to get'. When the Uruk is in one of these stages, a green icon is positioned above his head. During this phase, Talion can grab it and question him. Chief and Captain Uruk's work as Uruk's green aura, giving you information as weaknesses and strengths. But don’t forget: no other enemy may be close during the cutscene interrogation.